This is an amazing Rolex history story you won't find anywhere else, filled with images that are exclusive to this story. I have been working on researching this story for many years and I am really excited to finally share it with you!!! This story has all the exciting science-fiction elements of Buck Rogers, but this fascinating story is not science fiction. It is all real!!! 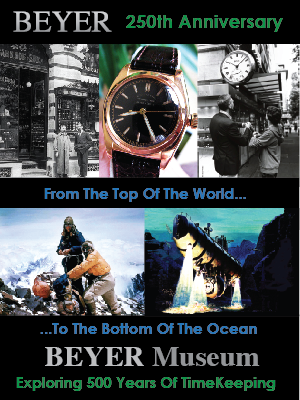 You may have noticed, at the top of story, there is a title named "The Complete History Of The Rolex GMT-Master." Essentially, this is the first chapter I am presenting in this series, but it does not have a chapter number because I have not figured out what chapter it will be. 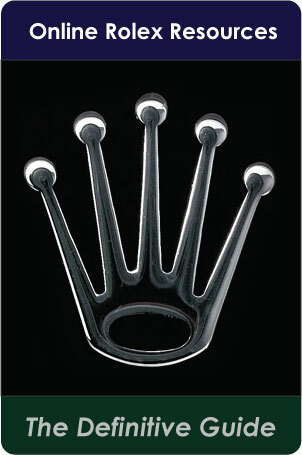 Many of the stories I have written in the past are renowned for giving you an inside perspective on Rolex. 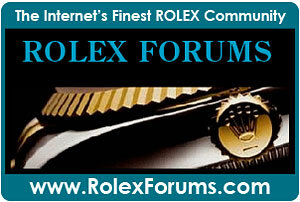 Rolex is a very private company and they have a code of silence which is rarely ever been been broken. In this story, we will learn how amazing Rolex Director, Rene-Paul Jeanneret was and how he deserves credit for being the father of the tool watch. The early experimental research aircraft involved in the United States X-Plane program were the precursor to the Mercury, Gemini and Apollo missions, which ultimately put a man on the moon. Much of the technology developed in the X-Plane program paved the way for the development and implementation of the NASA Space Shuttle. 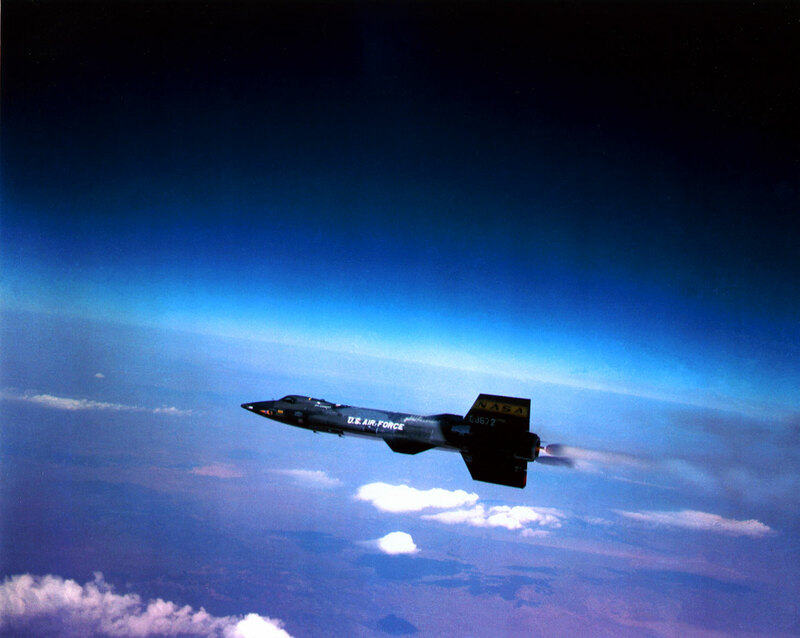 It is important to point out that the X-15a Spacecraft was the first that was able to leave the Earths atmosphere and actually fly out into space. Once the X-15 was out in space it could no longer use its wings to control movement in the vacuum of space, so it would switch over to using thrusters, much in the way the Space Shuttle does when it is docking with the International Space Station. Note: Almost all the images in this story are high resolution, so you can click on them to see much more detail. 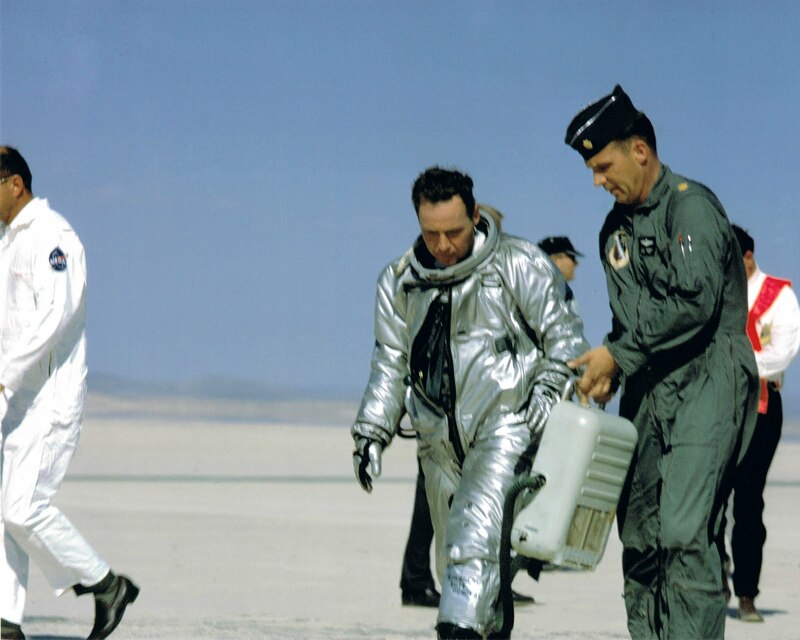 This story not only represents one of Rolex greatest historical achievements, but also one of mankind's greatest as well, and it begins with a U.S. Air Force Test Pilot as well as NASA. 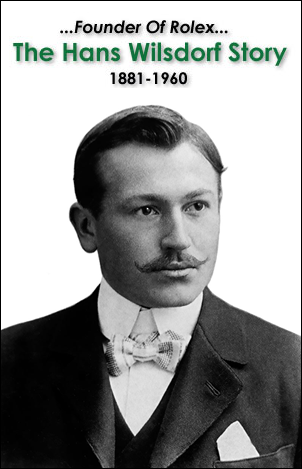 William J. Knight was nicknamed as "Pete" Knight, and to this day he holds the all-time speed record for level flight at Mach 6.7 which is 4.250 Miles Per Hour or 7,274 Kilomters Per Hour. Just to be clear on what I mean when I say "Pete" Knight holds the all-time record for level flight, I am specifically referring to a single person in a winged aircraft who is actually flying the aircraft in level flight. This classification does not include several people riding on a Saturn rocket to the Moon or gliding back to earth on a Space Shuttle. 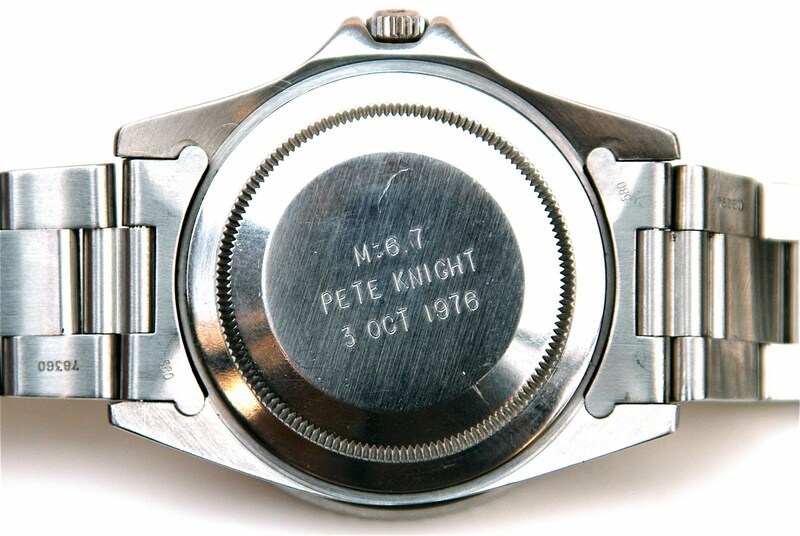 Knight achieved this in a X-15-a Test Airplane on October 3, 1967 above the Nevada and California desert and landed successfully at Edwards Air Force Base, and yes, you guessed it, he set this all-time speed record for level flight in a winged aircraft while wearing his trusted Pepsi Rolex GMT-Master. 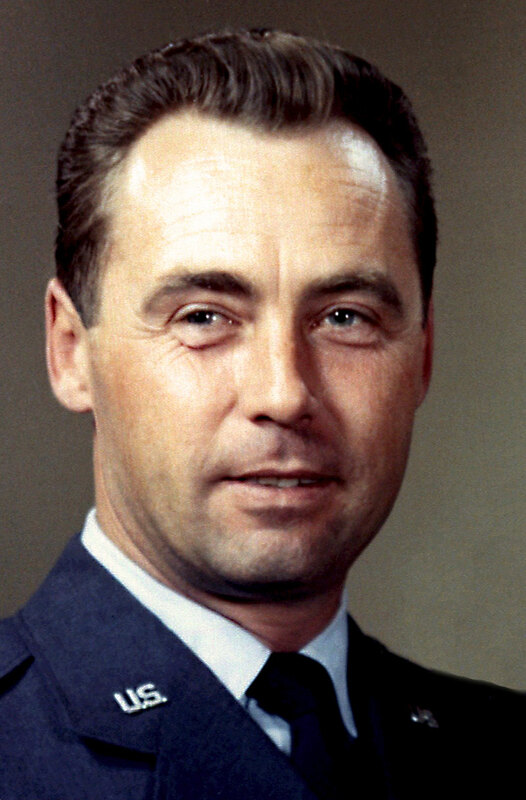 William J. Knight was a U.S. Air Force Test Pilot as well as an Air Force Astronaut. The X-15 program ran from 1960 until 1967. 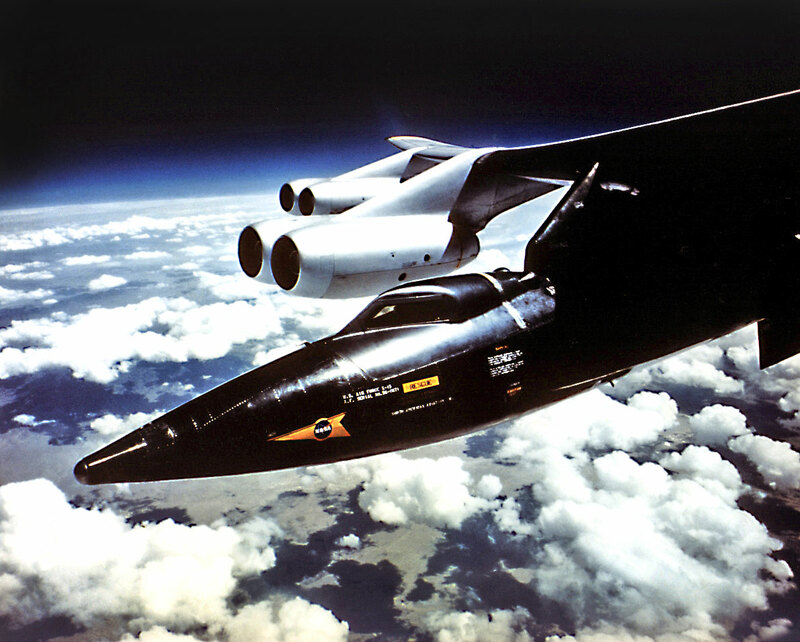 The X-15 program years represent the nexus between purely atmospheric winged flight and space flight. 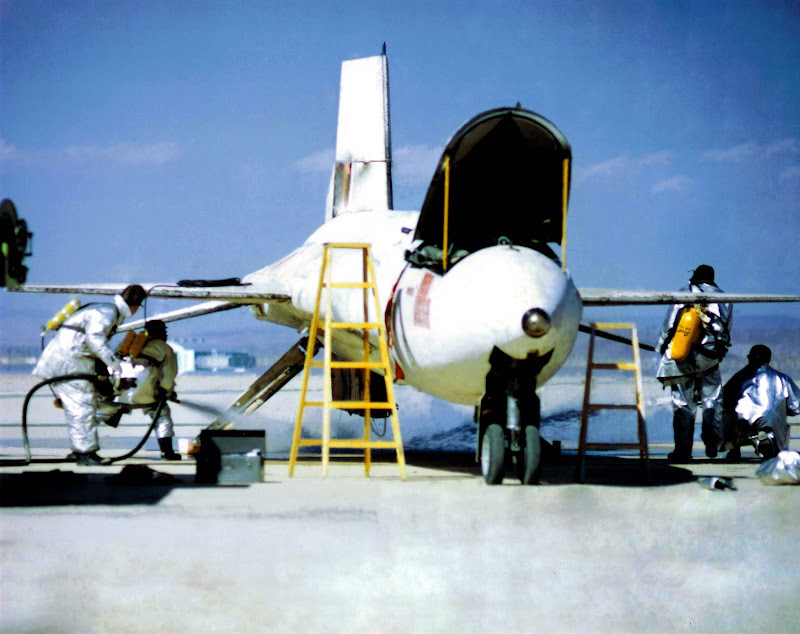 The X-15 Airplace where Hypersonic meaning they could fly faster than Mach 5 which is 5 times the speed of sound. 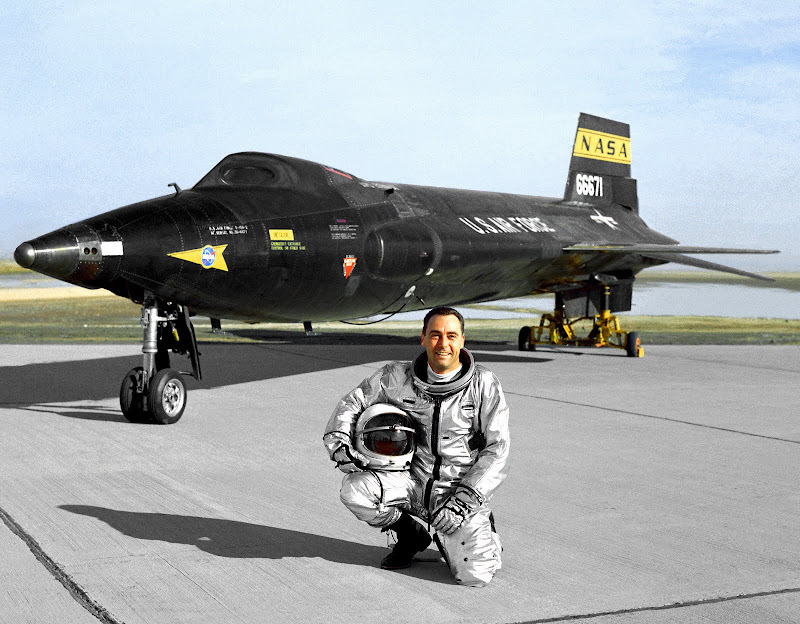 Neal Armstrong was a U.S. Navy and NACA/NASA test pilot in the X-15 program and his pictured below in 1960 standing in front of an early X-15 which he tested. 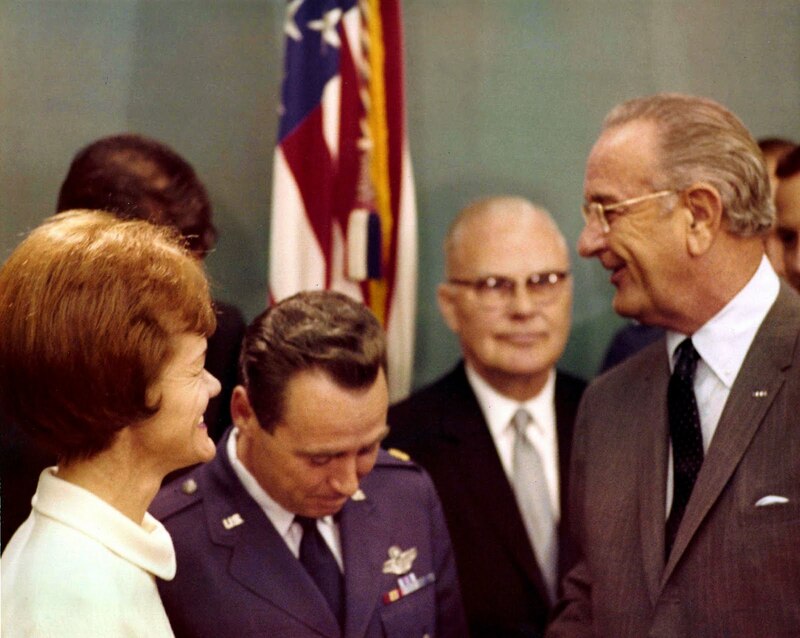 Of course, Neal Armstrong is most famous for being the Mission Commander for the Apollo 11 Moon landing mission which was the first to land on the moon on July 20, 1969. 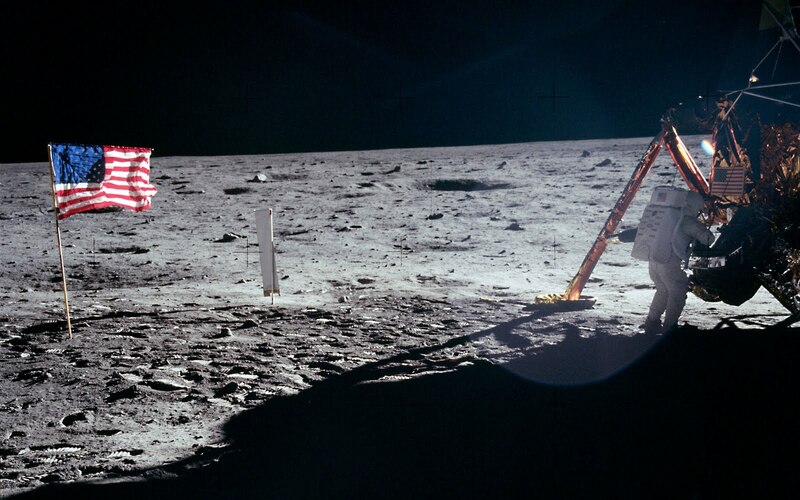 The above photo of Neil Armstrong is one of the few photographs of him that was taken during his EVA on the Moon. One of the important facts to take into consideration before you continue reading this story, is that everything in this story occurred before any men walked on the moon. 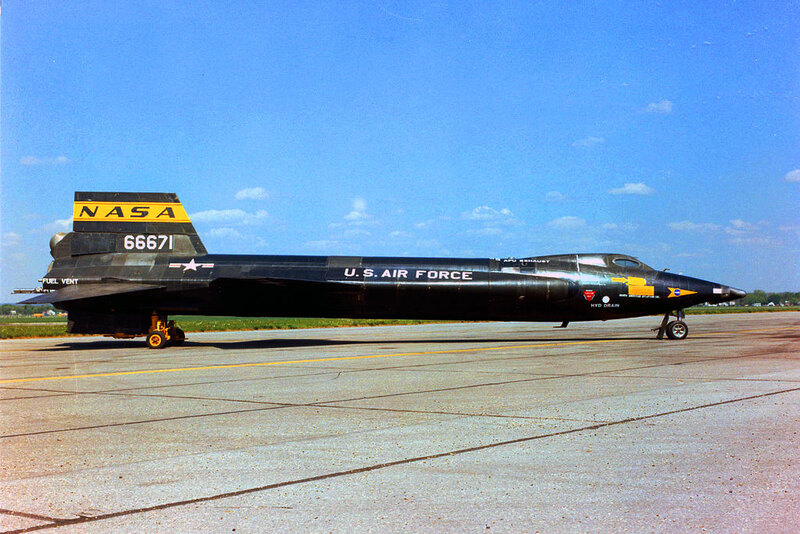 The X-15 planes were made by the U.S. company named North American. 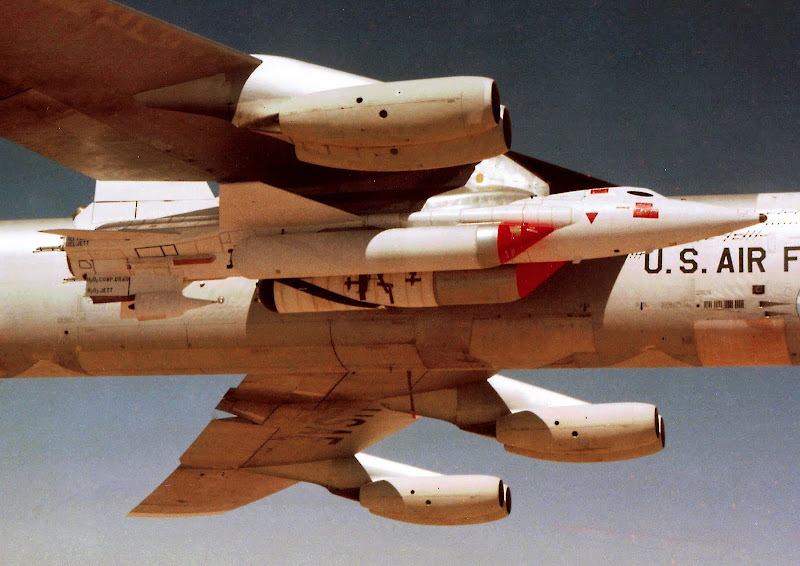 The X-15 were rocket-powered aircrafts that were also spaceplanes and they were part of the X-series of experimental aircraft. The X-series began with the Bell X-1 that Chuck Yeager flew in 1947 when he set the record for being the first pilot to fly faster than the speed of sound. 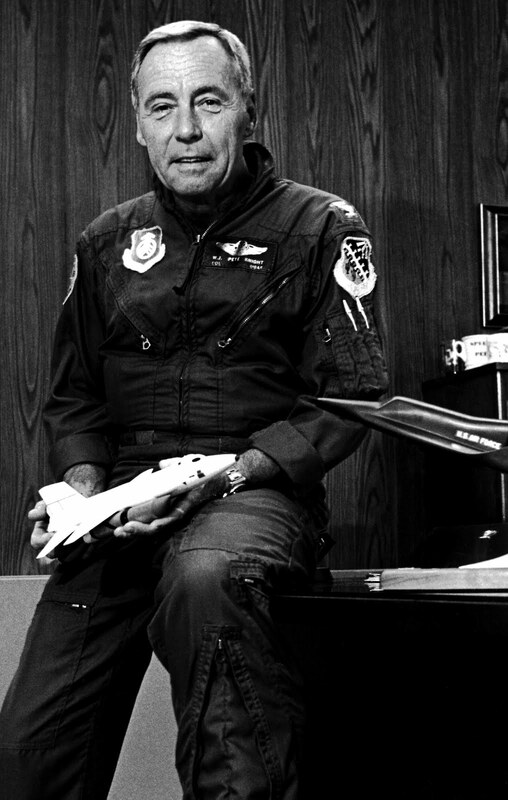 Of course, Chuck Yeager was wearing his trusted Rolex Oyster Perpetual when he set that record. 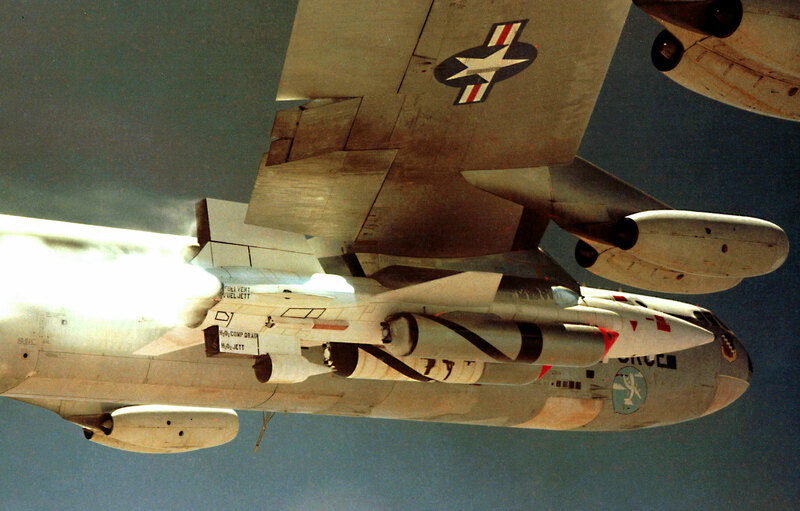 In the photo below we see the Hypersonic X-15 attached to a customized B-52 Bomber Airplane by attaching it to a pylon under its right wing. 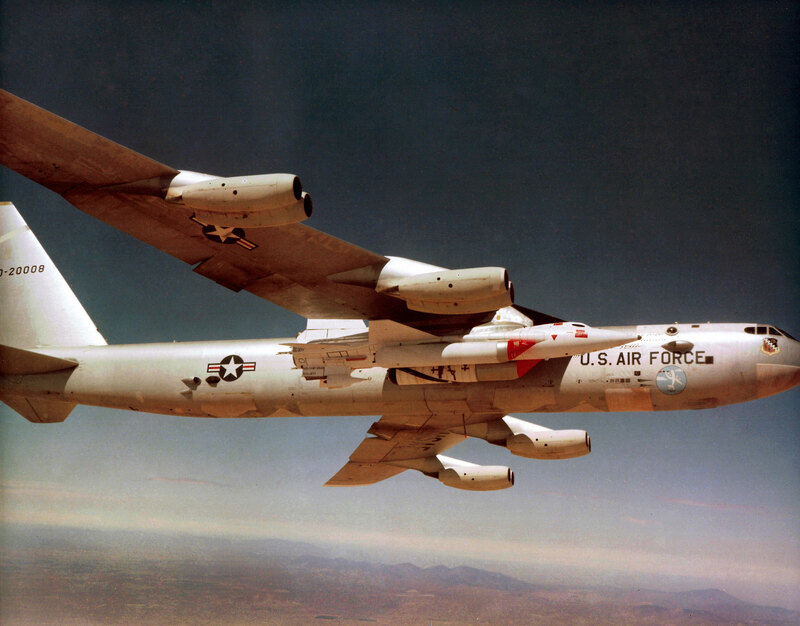 The B-52 would take off and once it got to altitude, it would release the X-15 and it would take off on its mission. 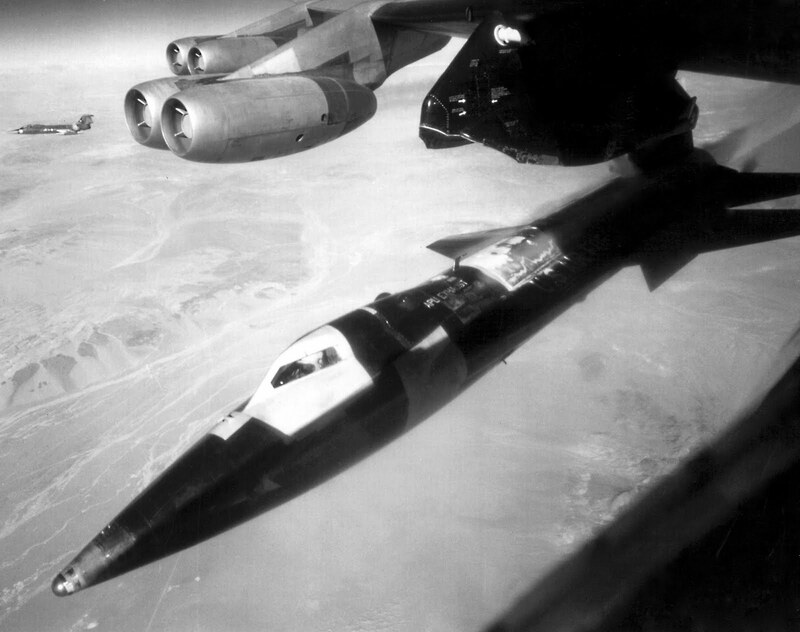 In the photo below we see the X-15 just after it has been released from the B-52. This is an amazing photos and my favorite detail in this photo is that you can see the helmet of the X-15 pilot, which makes it seem that much more real. In other words, in typical photos of the X-15, as with photos of the Space Shuttle, you typically never see the pilot, so the aircraft looks like a bird or an insect, but in this shot, since you see the pilots helmet, it gives you a very realistic sense of scale and dimension. 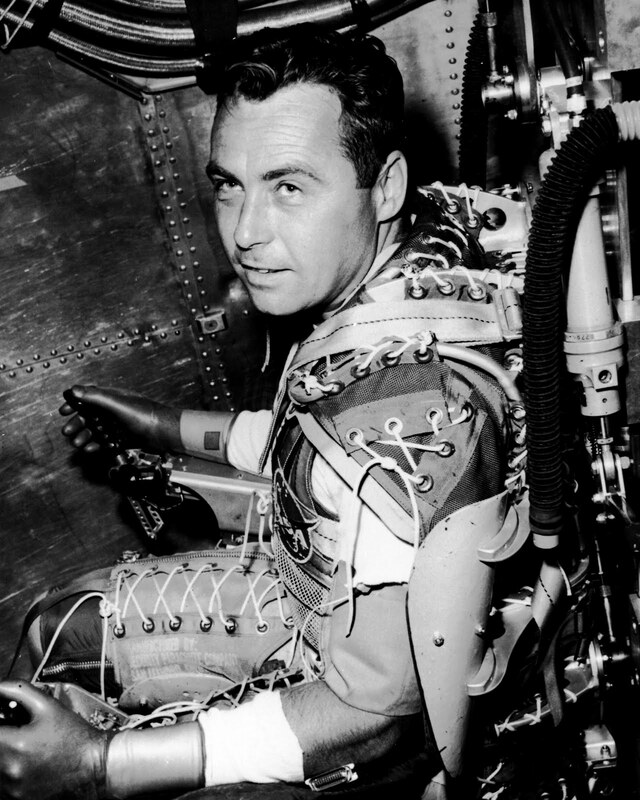 In the photo below we see an early photo of William "Pete" Knight wearing his special high-speed suit. 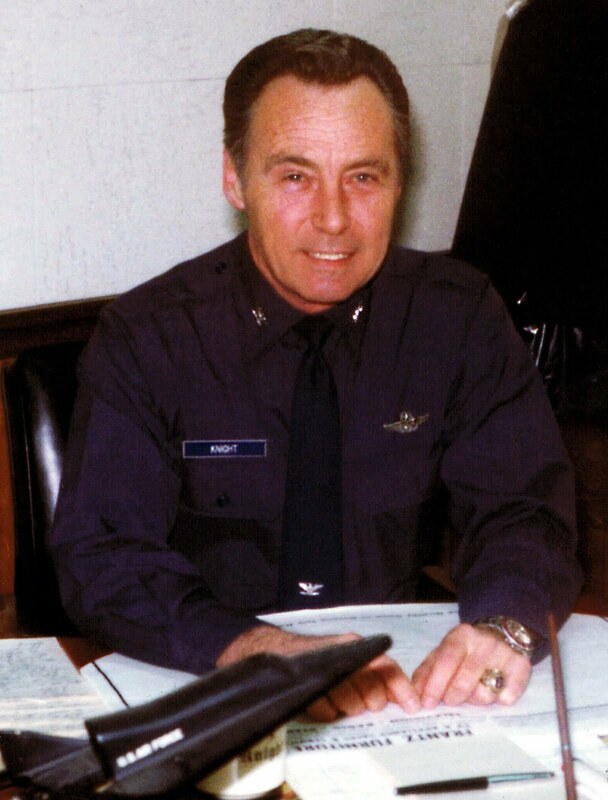 William Knight joined the United States Air Force in 1951 and when he was only a Second Lieutenant, in 1954 he flew a F-89 at the National Air Show and won the coveted Allison Jet Trophy. 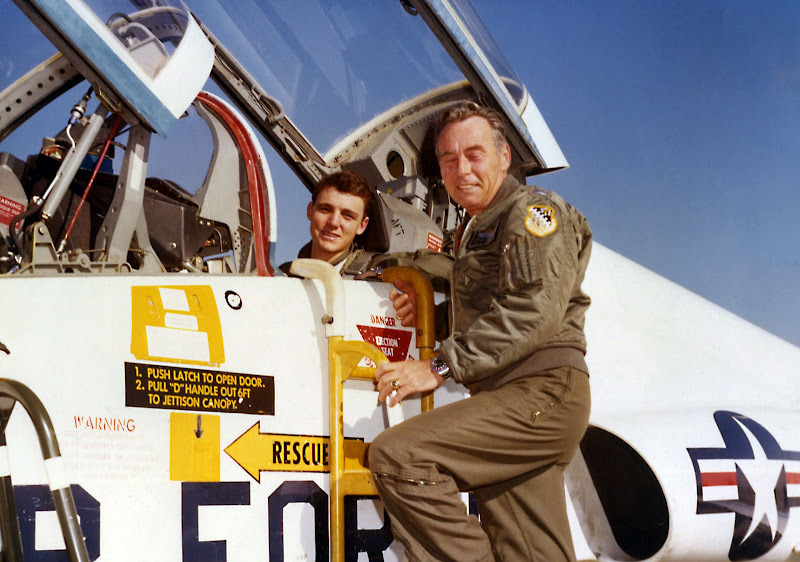 In 1958, William Knight was transferred to Edwards Air Force Base in California where he became a test pilot for the F-100, F-101 Voodoo, and F-104 Starfighter. Later he was also a test pilot for the T-38 and F-5 test programs. 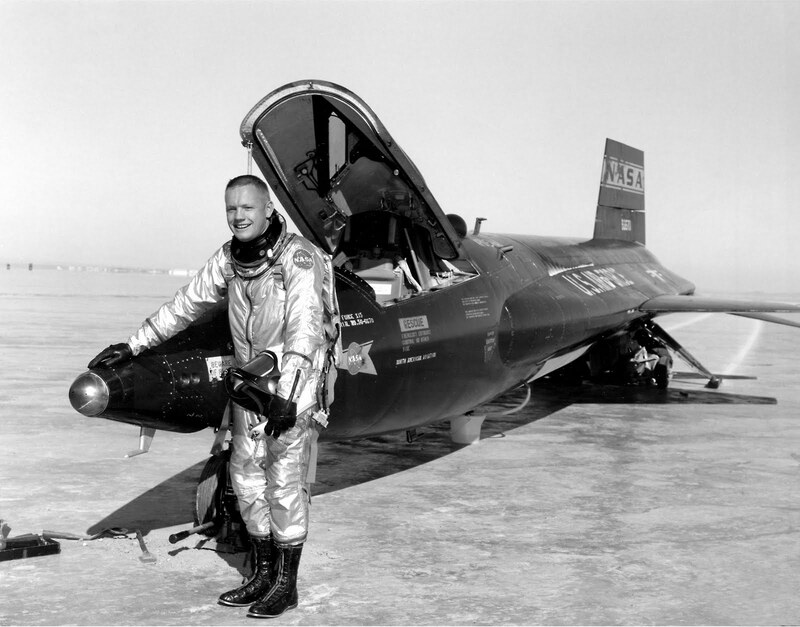 In 1960 William Knight was selected as one of only six test pilots for the X-20 Dyna-Soar program. 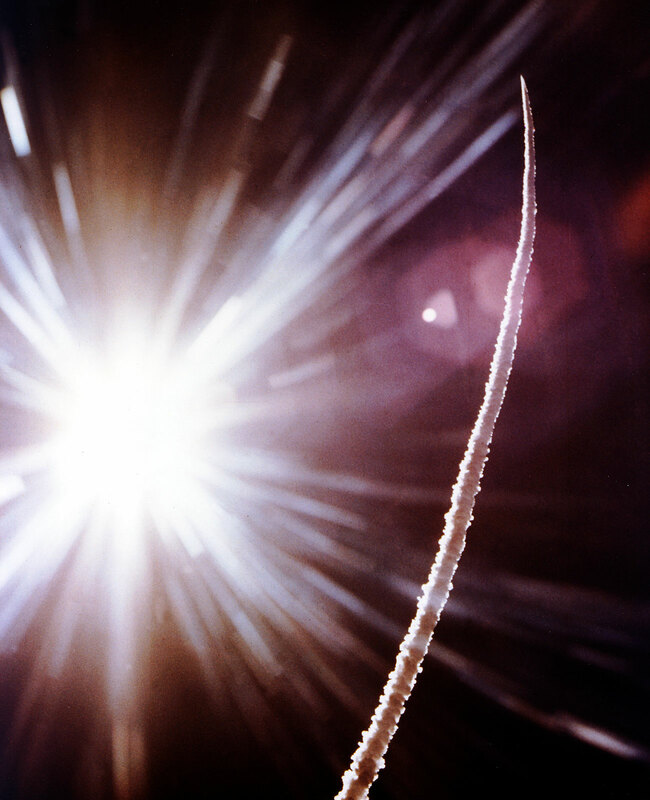 The Dyna-Soar was positioned to achieve the first winged orbital space vehicle that was capable of lifting reentries as well as conventional landings. 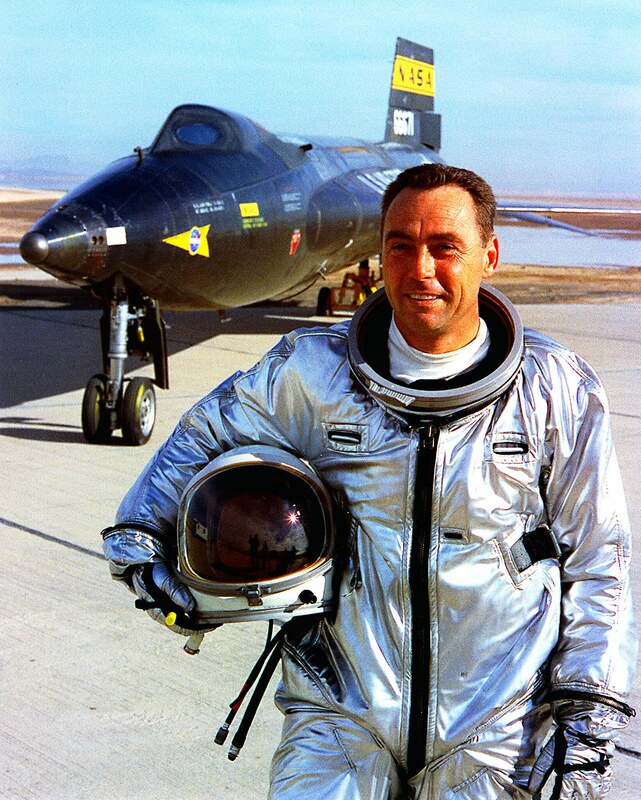 In 1963, after the X-20 program was cancelled Knight completed his Astronaut training cirriculum at Edwards Air Force Base and was chosen to by a test pilot for the North American X-15 program. 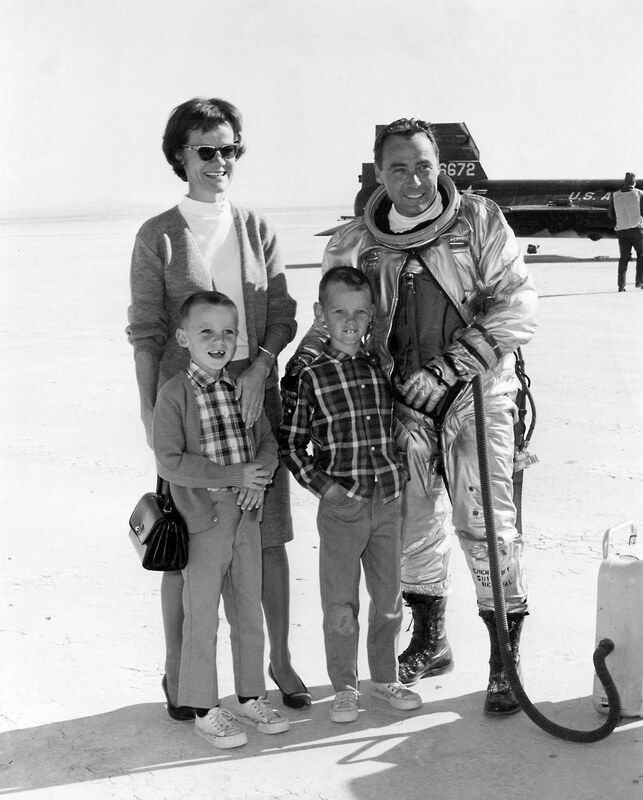 William Knight is pictured below with his wife and two older sons in front of an early X-15. Rene-Paul Jeanneret, was the Director of Rolex and is credited with being the father of the Rolex Tool Watch. 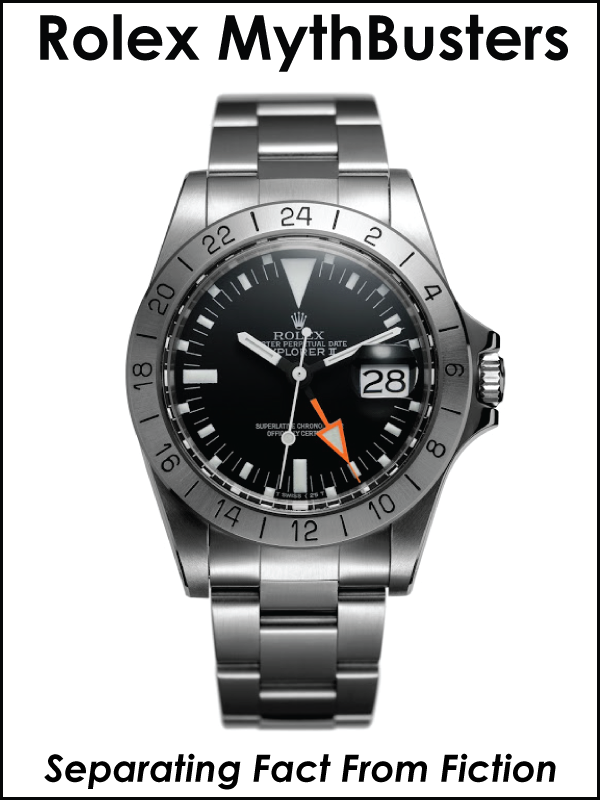 Rene-Paul Jeanneret was an SCUBA diver as well as a big fan of modern flight and he was also responsible for giving many of the up and coming U.S. Air Force test pilots Rolex GMT-Master watches. 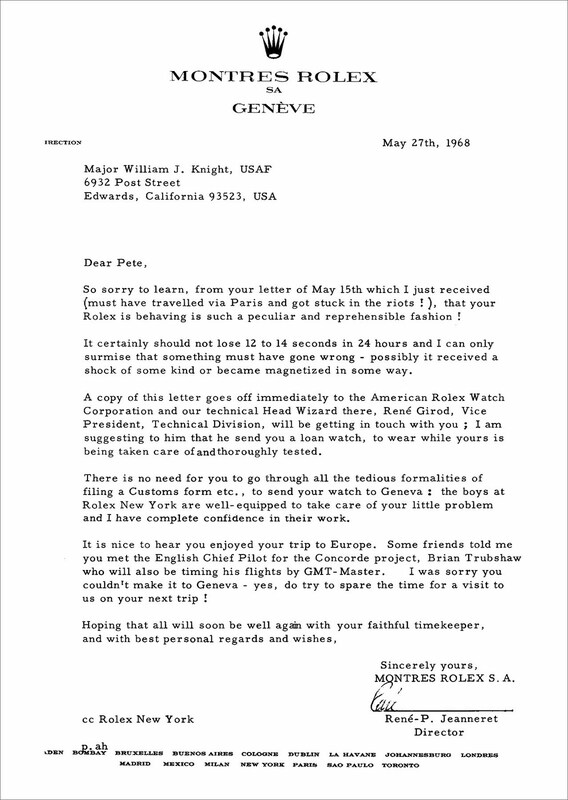 Since William J. Knight was one of the top U.S. Air Force pilots Rolex gave him a Pepsi GMT Master and we see the original receipt for the watch below. 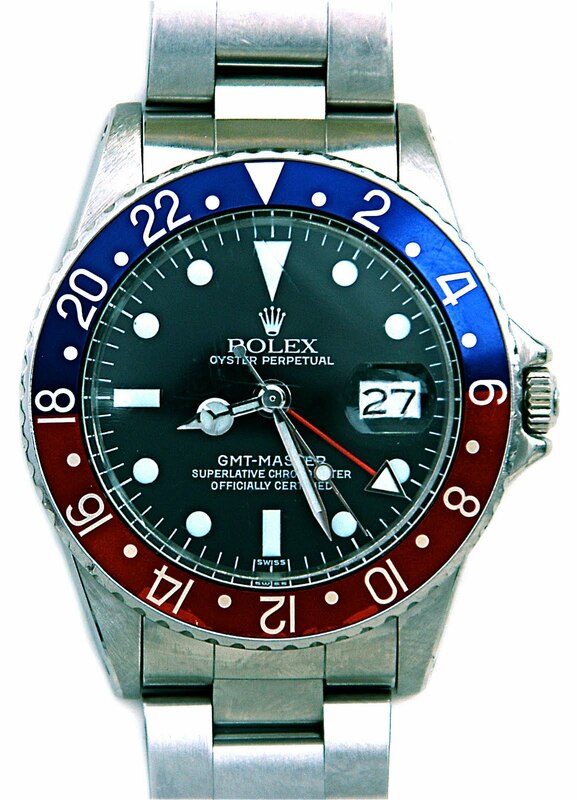 The recent photo below is of the actual Pepsi Rolex GMT Master that William J. Knight wore when he set the all time speed record for level flight at Mach 6.7. The photo below is of the actual C.O.S.C. 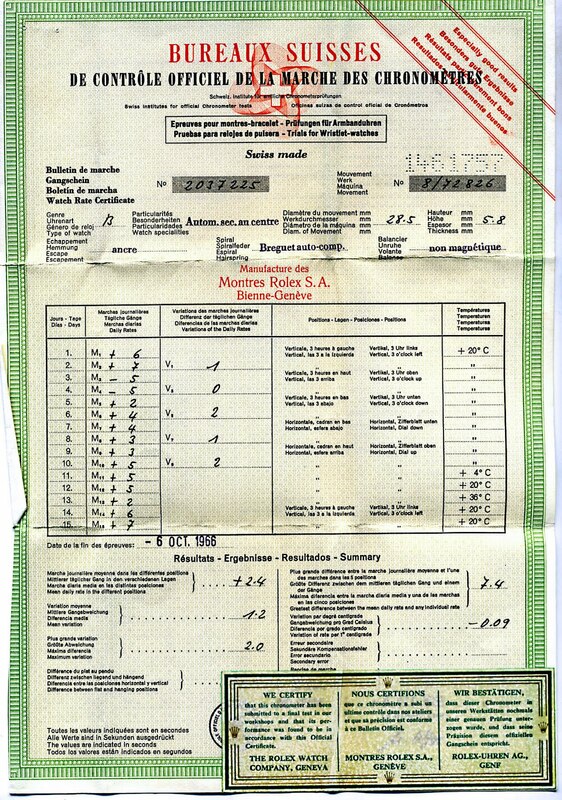 certificate for the historically significant Rolex GMT Master. 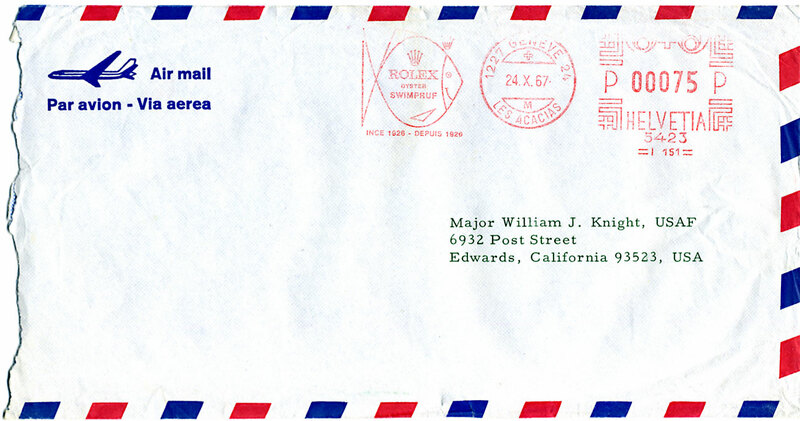 This next image below is from the dated envelope for the letter send from Rene-Paul Jeanneret in Geneva, Switzerland to Major William J. Knight. 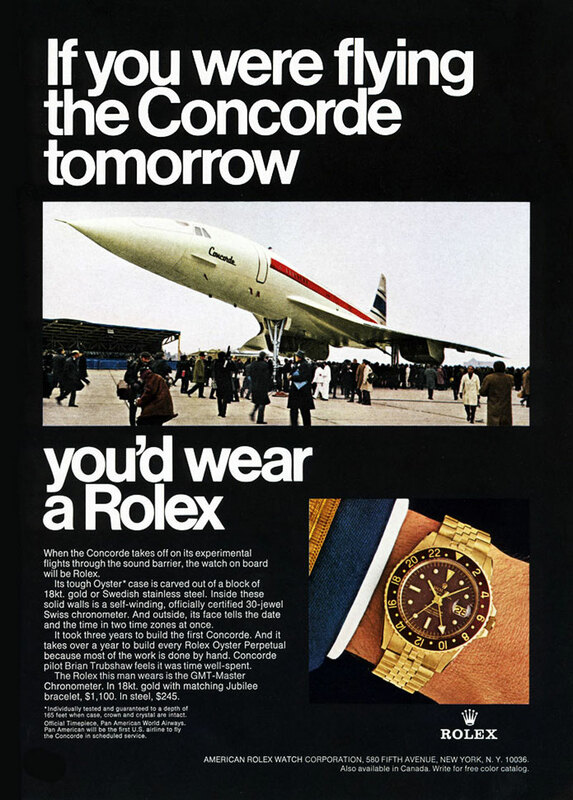 Here is a vintage 1968 Rolex ad on the subject of the Concrode Supersonic Jet that was test piloted by Brian Trubshaw that Rene-Paul Jeanneret mentioned in his letter above. 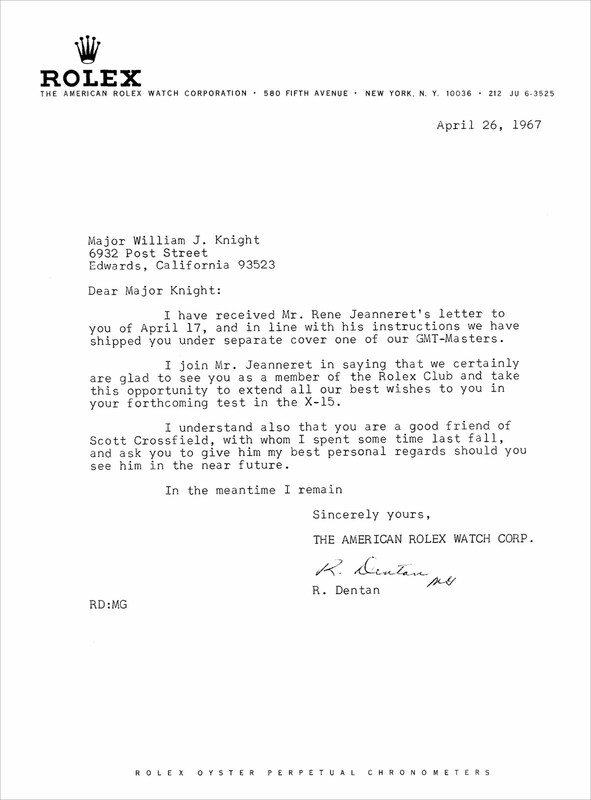 This next letter is from Rolex U.S.A. director, Rene P. Dentan. 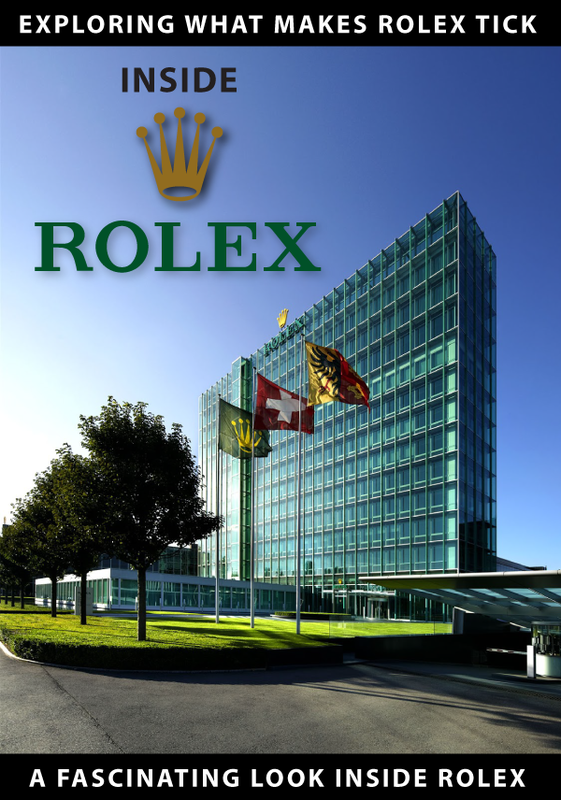 Rene P. Dentan was born and raised in Swtizerland and attended the University of Launsanne is Switzerland and went on to have a 45 year career with Rolex. 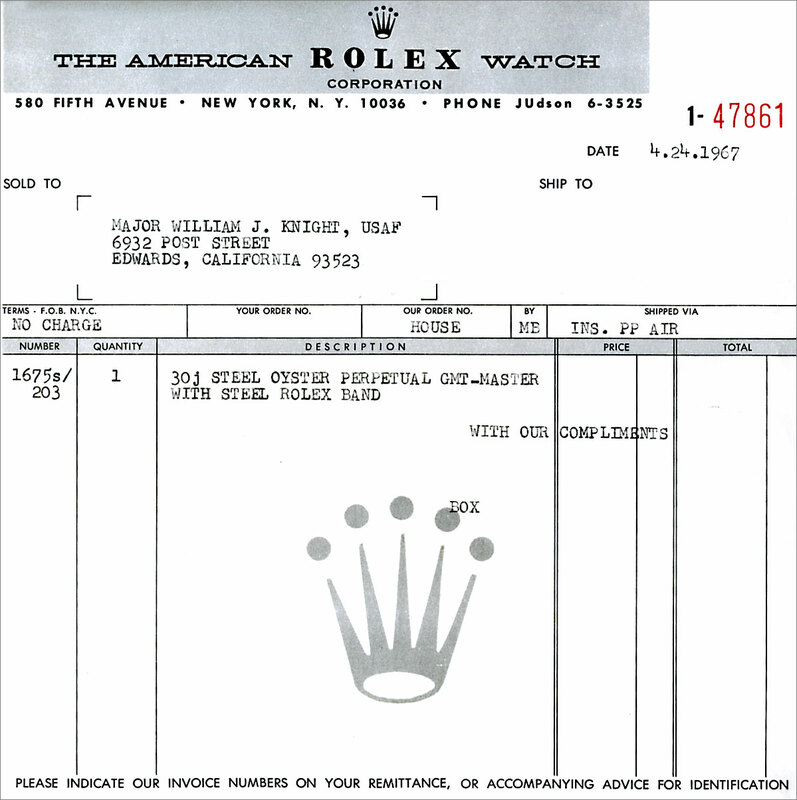 Rene first moved to New York to join Rolex U.S.A. and worked his way up to become President and Chairman Emeritus of Rolex U.S.A. 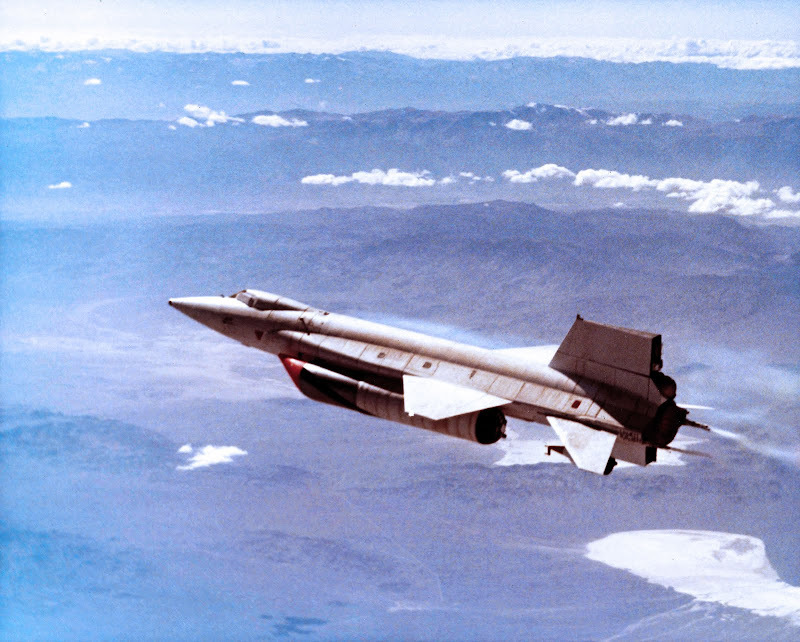 The X-15A that William Night set the all-time Hpyersonic record in was different than the previous standard X-15 in the sense it had a special white coating on it as seen below. 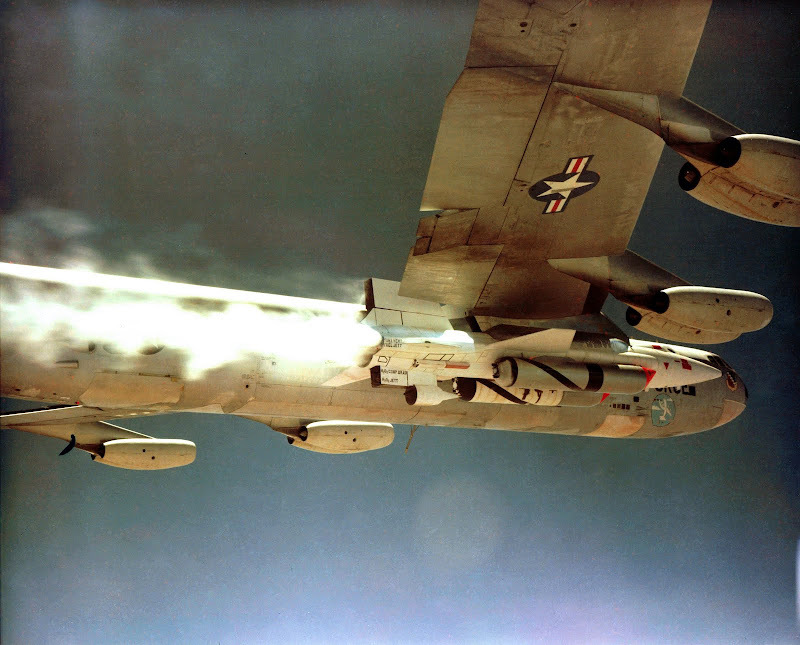 The photos in this series of the white X-15A were taken by the U.S. Air Force of the actual record setting event that occurred on October 3, 1967. 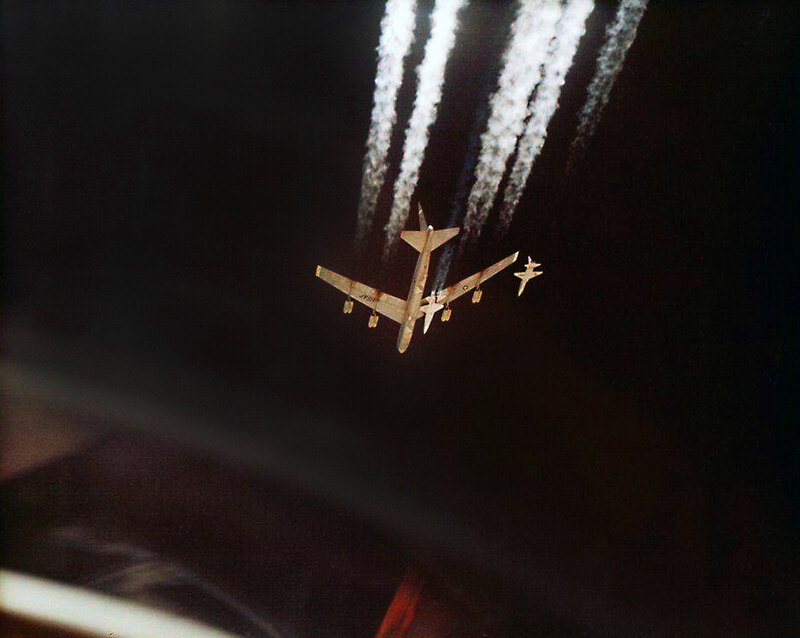 In the last two images and in the one below we see the X-15a attached to the B-52 as it reaches the proper altitude. 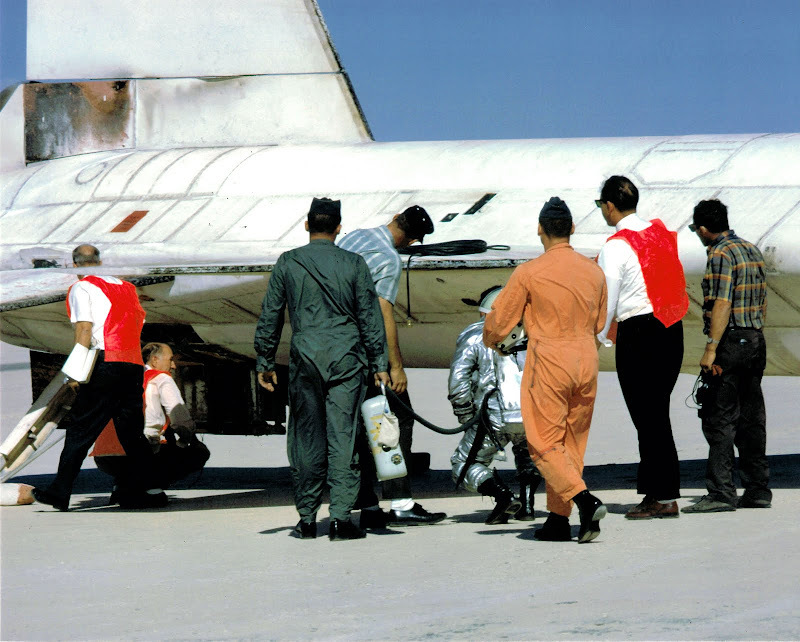 In the next images we see the X-15a with its rocket starting up. 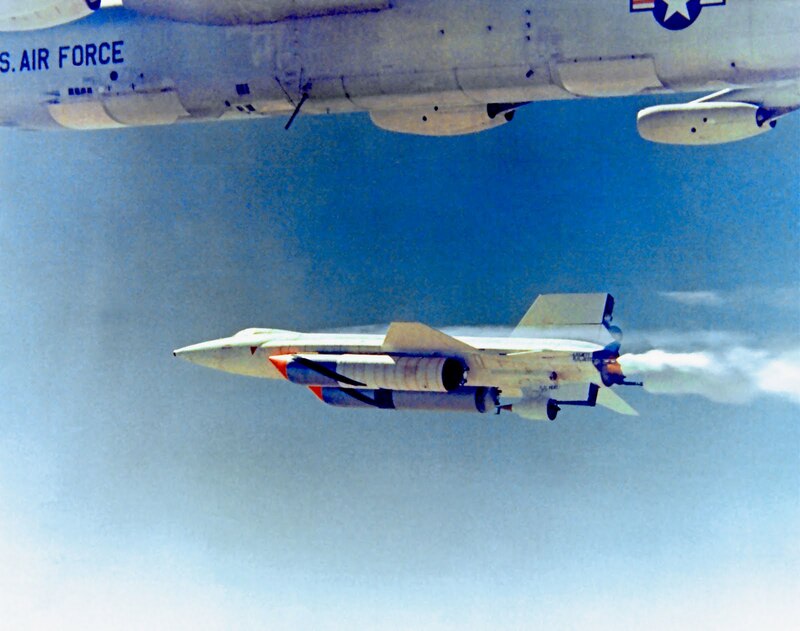 In order for the X-15a to achieve the world record for hypersonic speed, it had two special fuel tanks underneath that would help it get up to record-breaking speed, and you notice them below. 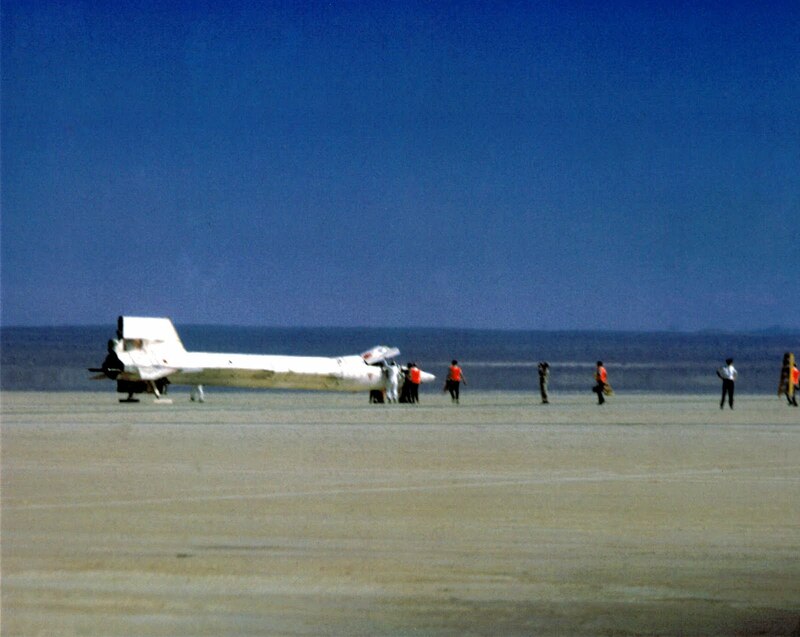 In this next image we see the X-15a as it has taken off on its own. "I finally flew on October 3, 1967 to a speed of 4,534 mph (7,269 kph) or Mach 6.72, and all systems functioned properly with the exception of some local heating damage on the lower ventral. 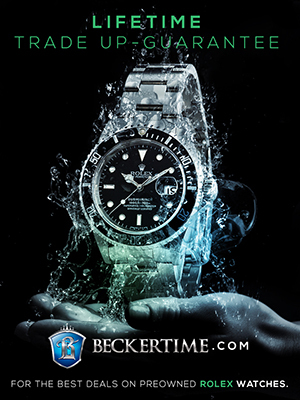 I have been wearing my Rolex GMT-Master for a period of months now and have calibrated it to within a few seconds a day." 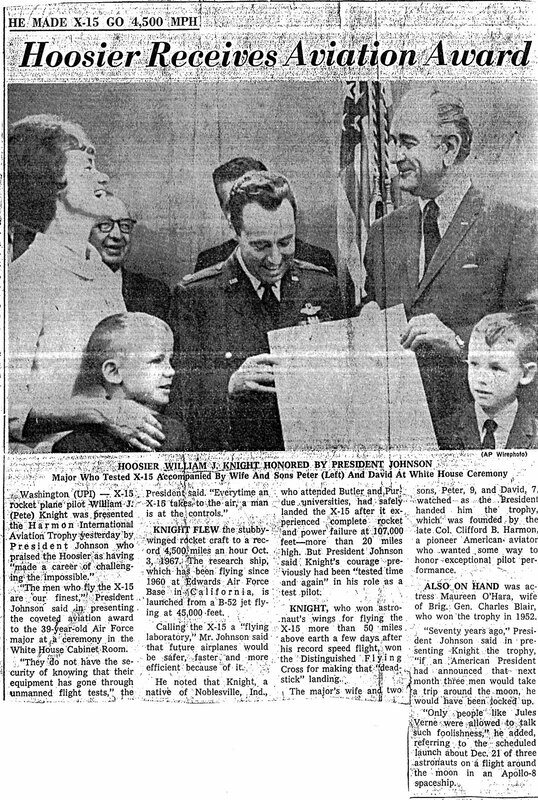 Here is a newspaper clipping that shows President Johnson awarding William Knight the Harmon International Aviation Trophy back in 1967. In many of the images in this story, including the one above, we see William Knight wearing his trademark Pepsi Rolex GMT Master, and in the photo below we see the engraving on the back. Apparently the engraver had a dyslexic moment and interposed the last two digits of the year. In other words, it was supposed to read, 1967, but they engraved 1976. When William Knight noticed the mistake, he thought it was funny and decided to leave it with the wrong date. 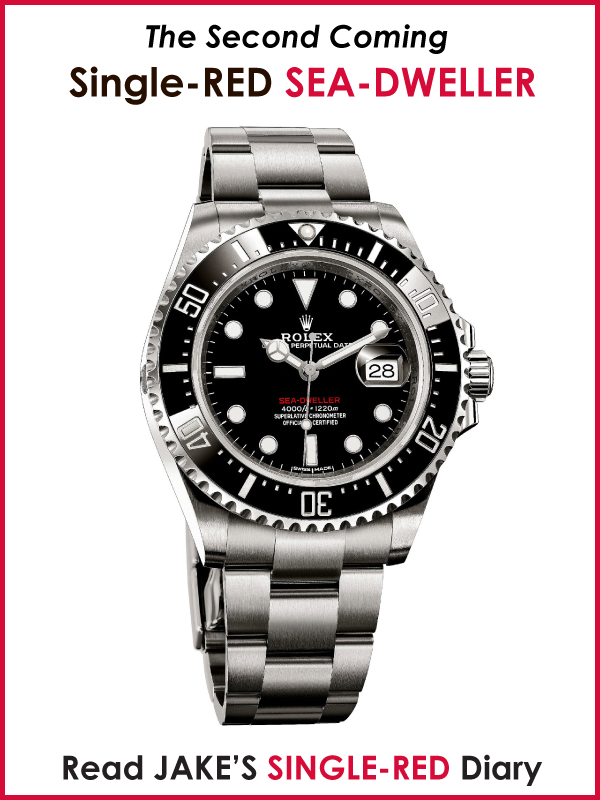 The photo below is of the actual Rolex GMT Master he wore when he set the all-time speed record at Mach 6.7 on October 3, 1967. 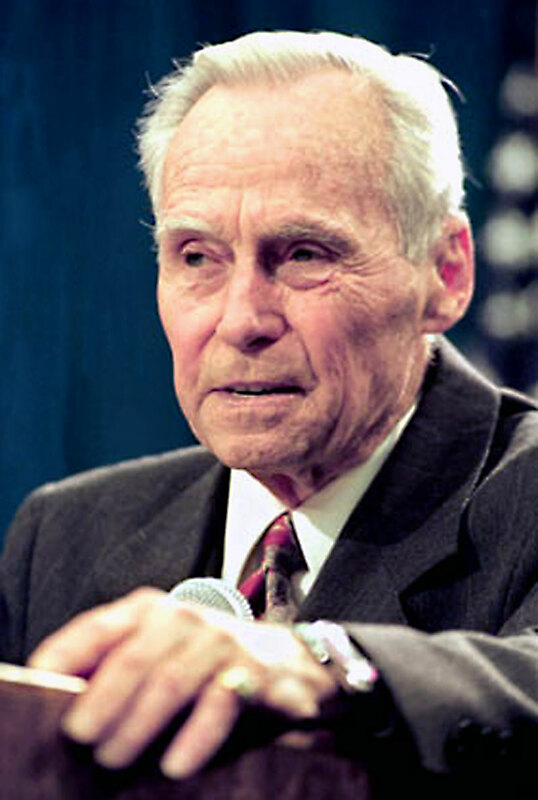 After a very long and distinguished career in the U.S. Air Force, William J. Knight became a California State Politician and started in the California State Assembly and then he went to serve as as California State Senator in the California State Senate. William J. Knight wore his trademark Pepsi Rolex GMT Master until he passed away in 2004 at 75 years of age. 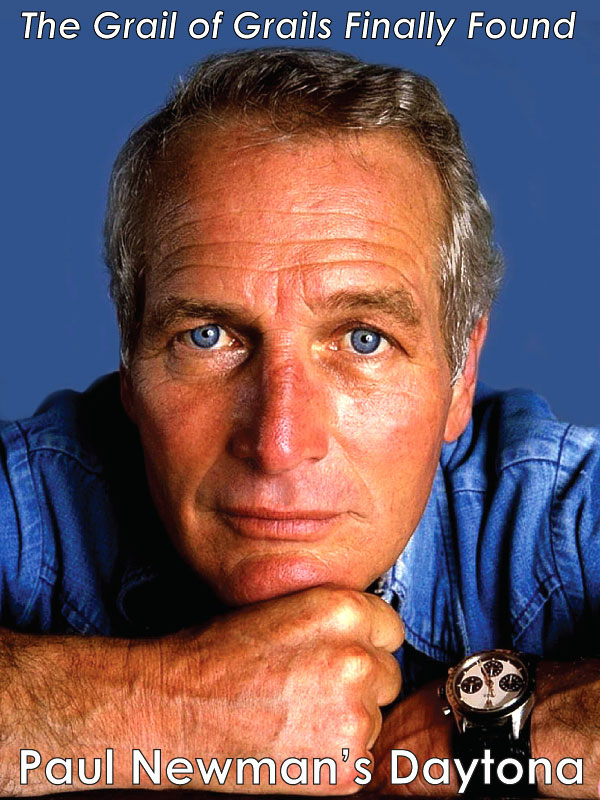 His actual Rolex GMT is picture below and it has to be one of the most historically distinguished Rolex watches in the world. I hope you enjoyed this magnificent piece of Rolex, NASA, and U.S. Air Force piece of history, but I am far from done on this subject. 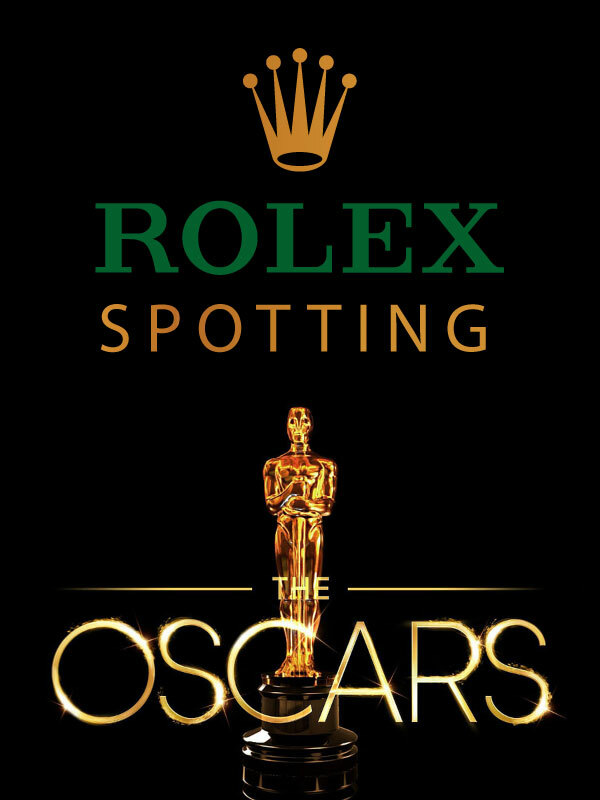 In the future I will be exploring much deeper into the Rolex/NASA/U.S. 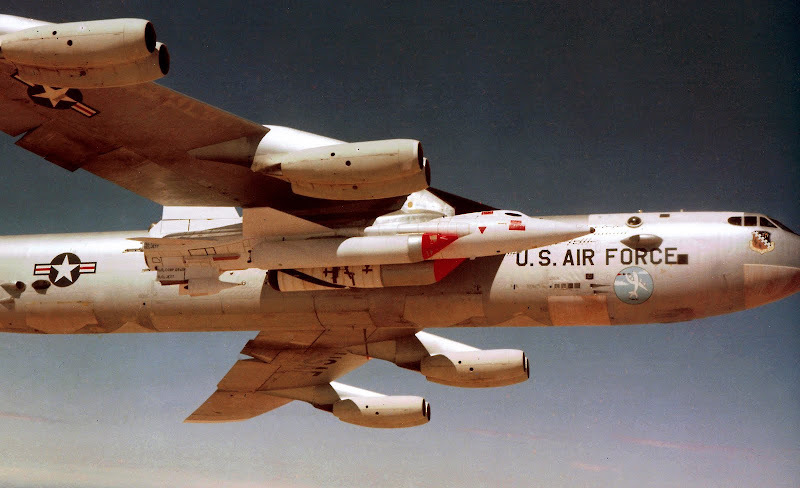 Air Force history with some really exciting, fascinating stories and photos. On a side note, I must admit, despite the fact I am 44 years old and I was born and raised in the United States, prior to beginning my research on the history of the Rolex GMT Master, I had a very cloudy understanding of the history of NASA and aeronautics. For instance, if you had asked my what the difference was between project Mercury, Gemini and Apollo, I would have had no idea. From my personal perspective, researching and publishing this story and the other NASA stories has given my a much clearer understanding of this amazing history. 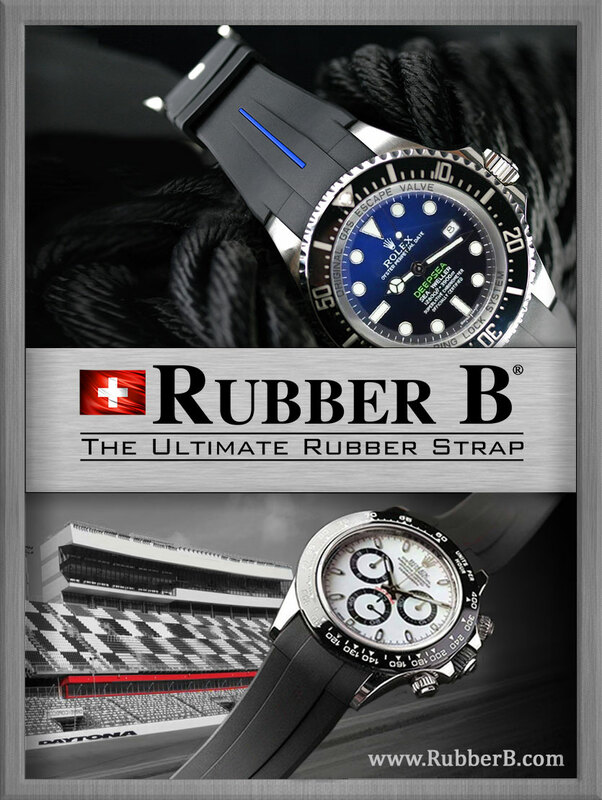 In the future, of this series named "The Complete History Of The Rolex GMT Master" I plan to tie together the entire history of Aeronautics from the Wright Brothers up to Chuck Yeager breaking the sound barrier, through the X-15 program, the Mercury, Gemini and Apollo programs, up through SKYLAB, the Space Shuttle, and the International Space Station. I believe that in the following years, once I tie all this fine history together, it should give readers a crystal-clear understanding of this amazing history that every informed world citizen should be aware of.